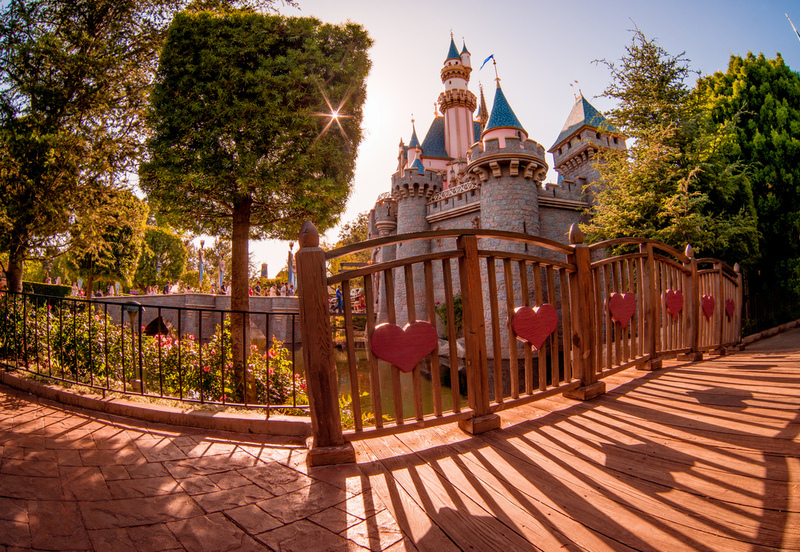 C'mon, admit it, you love Disneyland too! I'm not weird. You're weird. Who doesn't love Disneyland? Ok. Whatever. I guess some people don't like Disneyland and I'm not saying you're abnormal or joyless... but... yeah. Just kidding. To each their own. Which is why I take extreme joy in Disneyland. I mean, it's kind of everything I love: chocolate covered pineapple skewers? Check! Giant rice crispies? Yup. Pretzels? Aw yeah, fast food Bavarian style. Semi-spooky, cutesy stuff? In droves. I'm an adult and I refuse to stop enjoying Disneyland. It's picturesque! I mean, look, that's a place you want to visit, right? Just kidding, it will never be this empty. Actual words I have said to my husband: "It's ok to like stuff just for the sake of it, Danny." I said this half in jest, but half serious too. Sometimes, I feel like we're all trying so hard to be cool and hip and fun that we let that get in the way of genuinely enjoying stuff. Sometimes, it's ok to like stuff just because you do. You don't need an explanation for it. Even Walt looks happy to be there! Disneyland is the fast food of travel. It's easy. Everyone thinks it's cheaper than it is, but it's actually kind of stupid expensive. (Fast food adds up, y'all!) There is a pre-determined menu and not a lot of leeway. You go to Disneyland. You stay in a hotel. You stand in lines. You maybe get frustrated. You eat a churro. You feel like you ate a brick for the rest of the day. Here's the thing: in the wrong environment, Disneyland can totally be a nightmare. If you go into Disneyland saying that you hate lines, that you hope it's not crowded, that crowds make you miserable, etc., etc., you're basically setting the stage to be miserable. I hate to break this to you, but here's the big secret: it's freaking Disneyland. There are always going to be lines. There are always going to be other people. It's freaking Disneyland. You're not walking to the park. If you approach Disneyland with the idea that you're there to have fun -- and dammit, you're gonna have fun no matter what happens -- then undoubtedly you will have fun. If you, like me, walk into the parks just overjoyed to be there, then you're going to enjoy yourself. Half the fun is just being at Disneyland. Everything is themed and organized and clean and perfect (this is my dream world, clearly); how can you not at least enjoy it? lol @ all of these pictures featuring empty walkways. Lots of people don't like Disneyland. Ok, that's fine, you do you, yo! I'm sure you enjoy lots of other stuff that people might find embarrassing, like scream-cry-singing to Taylor Swift in your car or putting sriracha sauce on everything even though it tastes like nothing (I went there, bring it). Do I judge you for that? Yes, a little, but I'll stop if you'll stop judging me for being an adult who loves Disneyland. 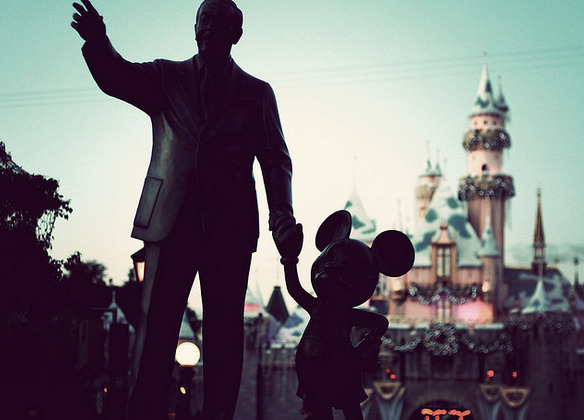 It's ok to be an adult who loves Disneyland. It is. It's ok. It's ok to cry to Taylor Swift songs in your car, eat too much hot sauce, make stale jokes about bacon, eat fast food, buy a mass-produced sweater, and go to Disneyland. It's okay to enjoy things just because you enjoy them.